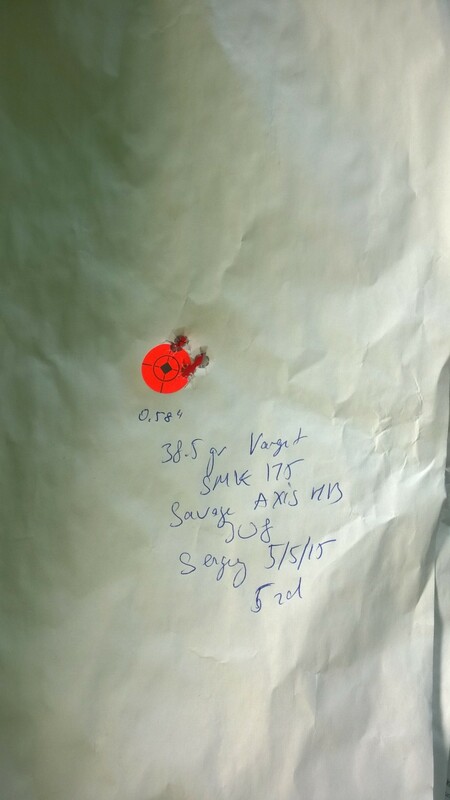 Savage is famous for making inexpensive, yet very accurate firearms. 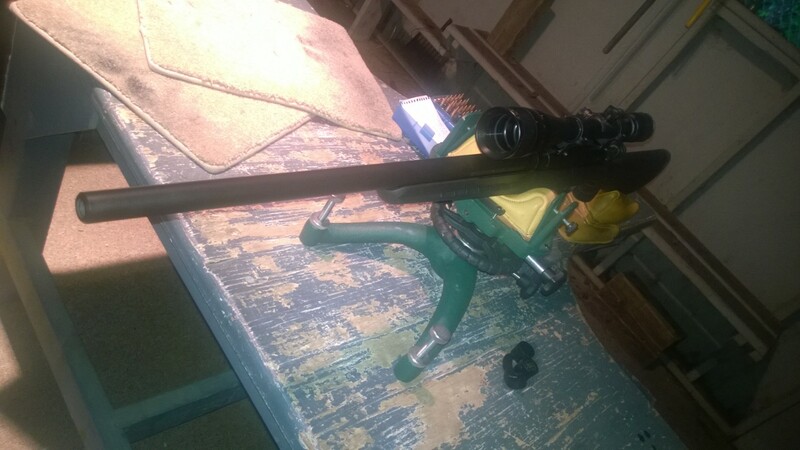 While most benchrest guns are based on the venerable Remington 700 actions, making it shoot well typically involves throwing out everything connected to it - stock, barrel, - and doing a lot of surgery on the action itself. We have a bunch of Savage AXIS Heavy Barrel rifles in 308 in stock right now! Savages, on the other hand, are accurate out of the box. 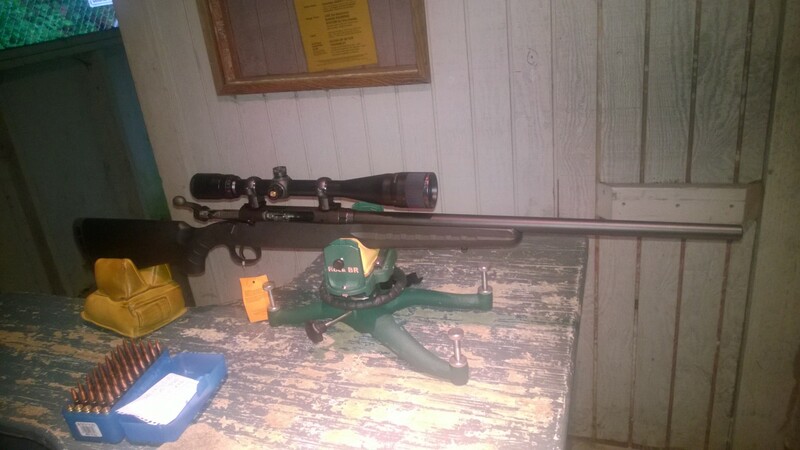 I have a couple dozen Savage rifles in various calibers, and not one have disappointed. One line of Savage that I never had in my private use, though I have been very curious about it, was AXIS. AXIS is a super cheap line with prices between just above $300 to just above $400, depending on the configuration. However, up until now, all Savages were hunting rifles, and since I don't really hunt, I did not have a chance to try one out. Hunting rifles are optimized for weight, so they have very thin barrels that heat quickly, and when the barrel is heated up, the point of impact moves. This is not a problem for hunting, where you'd make at most a couple of shots at a time, but it makes hunting rifles useless at the range. So when I saw the heavy barrel variant of AXIS, I immediately bought one. The going range at our store is $335, and with the $50 Savage rebate it put the final cost of the rifle to under $300 - it was worth the experiment! Generally, I love inexpensive, but good things for the challenge: it is easy to create something exquisite when no expense is spared. It is much more difficult to create quality at a low price, and I LOVE engineering challenges! The trouble was - with all the store work, I did not have ANY time to visit the range, for months. But last weekend I was doing a reloading class, and I chose this rifle as a prop, which resulted in a bunch of ammunition made specifically for it, so at least the question of making ammunition for it was resolved. 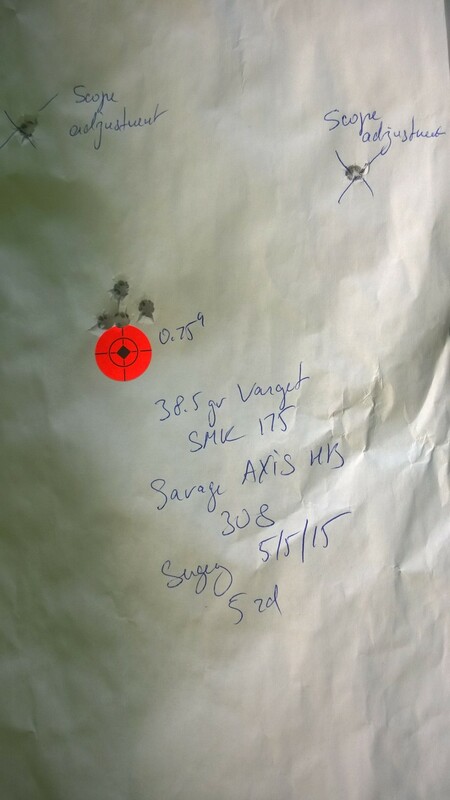 By the way, it is interesting to notice that the cartridge OAL for this specific rifle - to lands - was 2.850. Which is a big surprise, because typically Savage chambers are exact SAAMI dimensions - 2.800. Literally ALL my Savage rifles are identical in this respect. When loading, we've set the OAL to 5 thousands off-lands, to 2.845. I've made a loads starting from 37.0 with the increment of 0.5gr of Varget. I used Federal Match primers, as I always do. The price difference between them and regular primers is too insignificant to justify using a potentially inferior component. I made 15 rounds at 37.0, 15 at 37.5, 15 at 38, and 5 at 38.5. Then I took a few more random cases and made 12 more loads for scope setup at 38.5gr. 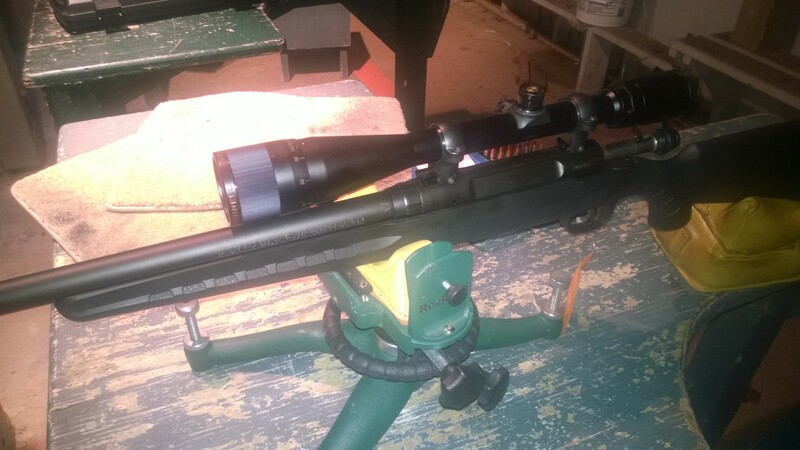 I outfitted the rifle with Bushnell Banner 6-24x44 scope, using Burris Signature Zee rings, as I always do. The scope I bought a while at Amazon, for $99 (it was an open box deal), and the rings are just under $40, so the total price for the fully outfitted rifle, optics and all, ended up to be just under $425 (ok, my price was wholesale, of course - figure 10% less, except for the scope). Which I think is not bad at all! 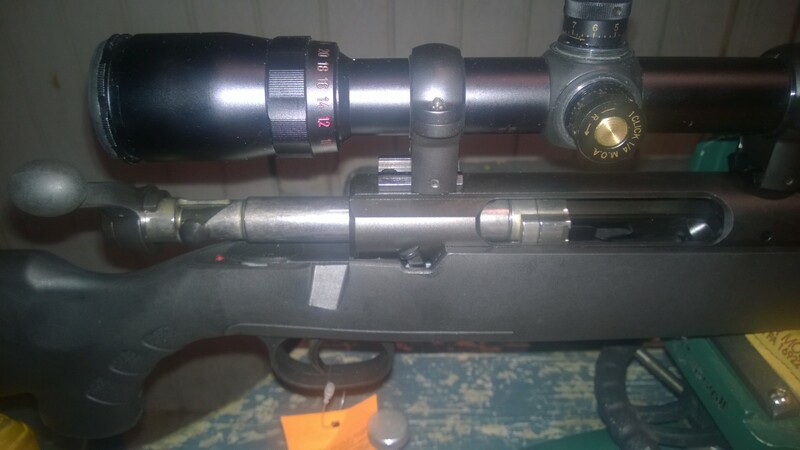 I really really really love Burris rings - they come with plastic inserts that not only do not mar the scope, but also can be used to adjust where the scope is pointing by using special inserts. In my case, the scope was pointing 40MOA to the left, and instead of debugging what I screwed in wrong - mount? Rings? - I simply used two pairs of +/-20 MOA inserts to correct it. 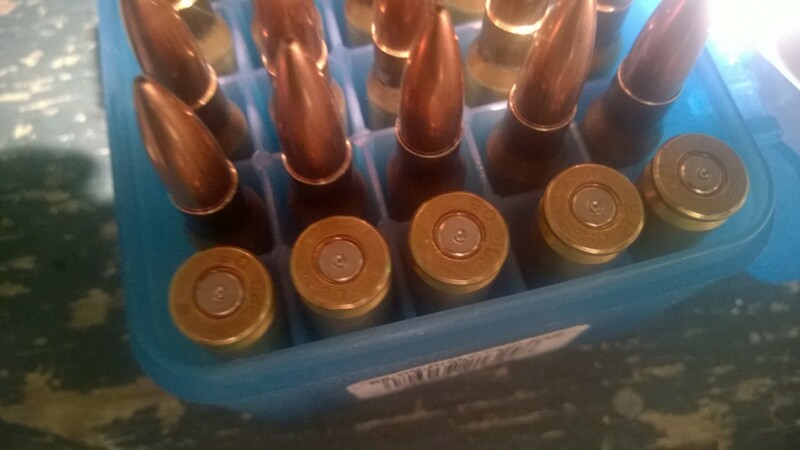 These were both 38.5 charges, the first group using Hornady cases, the second, conditioned military surplus cases. Not bad! The one and only problem - the trigger is STIFF! It's not creepy, but... very stiff - did not measure it, but probably 6-8lb. I was completely unused to a trigger this stiff, so I was dragging the rifle around when shooting, which probably resulted in suboptimal accuracy on the shooter side. And yet - both groups are well sub-MOA! So I wholeheartedly recommend the rifle - it is cheap, and it is very accurate. Timney makes a trigger that can be used in AXIS, so replacing the factory trigger on this rifle is my next project. Stay tuned!